Although the en.Wikipedia article on tunicates and the article on chordates both zing us with the fact that the phylum Chordata are defined by having a notochord, for some reason, the DYK hook on the main page equivocates and allows that tunicates may have a notochord. Did you know … that although a tunicate is an invertebrate, its larva (pictured) may have a notochord and resemble a small tadpole? Okay, en.wiki bad science, figure it out; do tunicate larvae have notechords or not? Taxonomically, the phylum includes the subphyla Vertebrata, including mammals, fish, amphibians, reptiles, birds; Tunicata, including salps and sea squirts; and Cephalochordata, comprising the lancelets. Make up your mind, en.wiki, purveyors of bad science; do they have notochords or not? Am I being petty to ask that en.Wikipedia not rewrite taxonomy and evolution to suit the limited ability of its editors to write science articles? Good Articles on Wikipedia are part of the encyclopedia writing process taken over by the sycophancy of the WikiCup. Editors write and/or edit an article, then decided it is up to snuff as a “Good Article,” and then ask for another editor to volunteer and give it their stamp of approval as good enough to be considered “Good.” In the spirit of “anyone can edit,” neither the editors claiming the goodness nor the reviewers agreeing to the goodness need have much or any expertise in the subject matter of the article. In the sciences this is frequently a disaster. 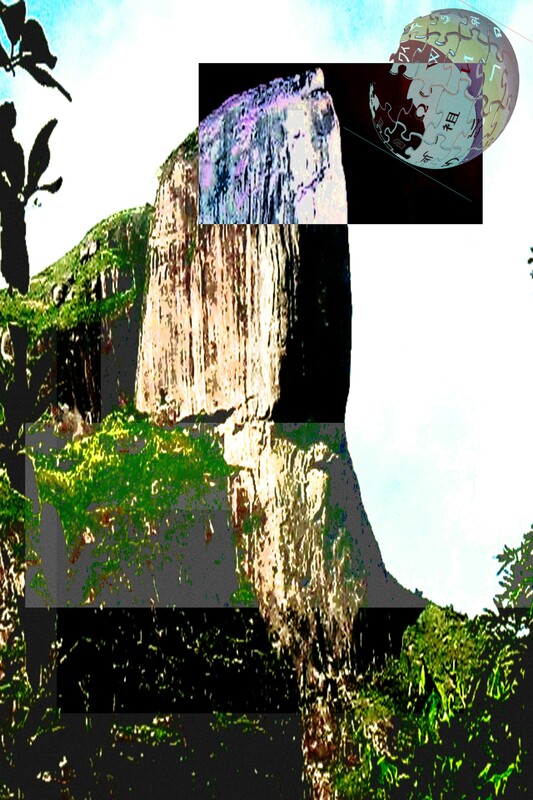 Let’s look at a current nominee for “Good Article” status, Pedra da Gávea. Located in the Tijuca Range, Pedra da Gávea is 842 m (2,762 ft) tall, and is a morro, or rocky outcrop in the shallow waters of a harbor. The flat top of the mountain is capped with a layer granite, whereas underneath, the mound is made up of gneiss. The mountain itself is covered in lemon, orange, breadfruit, banana, and papaya trees, as well as cannas as and roses. Located in the Tijuca Range, Pedra da Gávea is 842 m (2,762 ft) tall, and is a morro, or rocky outcrop in the shallow waters of a harbor. The flat top of the mountain is capped with a 150 m tall layer of igneous granite, whereas underneath, the mound is made up of metamorphic gneiss. The gneiss layer dates to around 600 million years ago; the granite layer is younger and dates to around 450 million years ago and is the result of lava flow. The mountain, much like other stone outcroppings that surround the area, is the result of Meso–Neoproterozoic high grade metasedimentary rocks intruding into Neoproterozoice granitoid rocks and thin Cretaceous diabase dikes. Differential weathering has incised the northern side of the mountain, and wind and rain erosion has carved etches into the mountain’s sides. The mountain itself is covered in lemon, orange, breadfruit, banana, and papaya trees, as well as cannas androses. Located in the Tijuca Range, Pedra da Gávea is 842 m (2,762 ft) tall, and is a morro, or rocky outcrop in the shallow waters of a harbor. The flat top of the mountain is capped with a 150 m tall layer of igneous granite, whereas underneath, the mound is made up of metamorphic gneiss. The gneiss layer dates to around 600 million years ago; the granite layer is younger and dates to around 450 million years ago and is the result of lava flow. A granite, while igneous, is not, by definition, a lava flow. Granites and lava flows would be good examples of the two different types of igneous rocks, everywhere except in en.Wiki bad science. Granites are intrusive igneous rocks; igneous rocks that are not molten at or near the surface, whereas lava flows are extrusive igneous rocks, rocks that are molten at or very near the surface of the Earth. Granites have huge big beautiful crystals because they are not molten at the surface, because they cool slowly at depth; lava flows do not have big beautiful crystals because they are molten at the Earth’s surface and cool very quickly before big beautiful crystals have the chance to form. These are the two examples frequently given in an introductory geology textbook of an intrusive and of an extrusive igneous rock, a granite and a lava flow. An en.Wikipedia editor can write an article about geology and get it approved, or its bad geology ignored for at least 24 hours (oh, we have much longer stories to come, 8 years! ), without even the knowledge one would get from a high school textbook on the topic. Just copy words from the source, randomly put them in places. The mountain, much like other stone outcroppings that surround the area, is the result of Meso–Neoproterozoic high grade metasedimentary rocks intruding into Neoproterozoic granitoid rocks and thin Cretaceous diabase dikes. A mountain is a stone outcropping? Poetic. Oh well, but maybe we do have to distinguish the igneous granites from the non-igneous granites, at least in en.Wiki bad geology articles where you have intrusive and intruding sediments. If a metasediment intruded a granitoid, it would not be a metasediment. In order to intrude another rock, it has to flow as a liquid, not a plastic. If a metasediment become liquid, it is no longer a metasediment, it is an igneous rock. I do love the thought of the metasedimentary rocks intruding into the future thin Cretaceous diabase dikes; did the Meso-Neoproterozoic rocks hang in air for 400 million years, did they go back in time and intrude the future rocks; how did this happen? By the way, the source does not have the (meta)sedimentary rocks intruding the granitoids. What en.Wikipeardia editors in the lust for a WikiCup win and a Good Article stamp of approval get out of a source and what the source actually says are often two different things due to bad rearrangement of the words or exactly the same thing. It is the first case we have here. The textbook clearly has the granitoids, rocks that do intrude other rocks (hence, intrusive igneous rocks), intruding the metasedimentary rocks. This also means that the rocks that were there first, the older Meso-Neoproterozoic rocks get intruded by the younger Neoproterozoic rocks. It would be very hard for the older rocks to intrude the young rocks 400 million years before the younger rocks existed. Hard everywhere but on en.Wiki when creating bad science. Because, after all, anyone can edit and should. Differential weathering has incised the northern side of the mountain, and wind and rain erosion has carved etches into the mountain’s sides. The “northern side” of the mountain is not what is discussed in source , as the “differential weathering” referred to is in the face on the rock; source  does not discuss weathering or erosion, and source  does not exist in cyberspace, and source  describes the supposed inscriptions, not anything about weathering and erosion. Wind and rain erosion did not “carve etches into the mountain’s sides,” it simply (re)moved material that had been weathered on the mountain, however, that’s a picky detail. I would say carving is the changing the material from rock to pieces of rock, minerals, and ions that can then be removed or eroded from their place by moving waters and winds or gravity. Wanna bet on wether or not the editor correctly cited source ? Chicken! Quick, is this geology at the end of a paragraph on geology or is it history? Well, I think that when you change the geology so much that you have intrusive metasediments–probably the reason to distinguish igneous granites from non-igneous ones–intruding rocks before they exist, you can’t be too picky about what else isn’t geology in the paragraph. This is actually history, and I’m not sure the article really discusses this; it is a unique area in Brazil where everything is planted, not natural vegetation at all. Speaking of not natural, there is not much natural about the WikiCup race to throw up whatever anyone wants to call science all over the Web. This article never should have seen the light of day. The review editor will probably excuse him/herself, saying he/she was too busy to keep checking up; the editor writing it will have an excuse also, namely, how and why should he/she be expected to know geology to write an article about geology? Well, he/she could have just copied and pasted from his/her sources better. This is science on en.Wiki. This is what will be copied by hundreds of Wikipedia mirrors. This is the garbage your children will put into their reports. This is what newspapers will quote. This is not increasing access to knowledge; it is destroying knowledge; it is producing garbage. Well, not only garbage; some en.Wiki editor will get a badge to put on their page for creating this crap, and another will proudly pat him/herself on the back for promoting this crap. Because, when it comes right down to it, Wikipedia is not about writing up the sum of human knowledge; it’s just an advanced social network for a select and limited group of people to give each other atta-boys. PS I think we’re going to include treats for en.WikiHoundDogs, too. Can you find it?